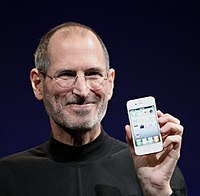 Posted on August 25, 2011 September 18, 2011 Categories Pseudo RandomTags appleLeave a comment on Steve Resigns! In a patent battle, Samsung claims prior-art exists against the iPad patent that is owned by Apple. As evidence, they present a very iPad-isque device being used in a 1968 Stanley Kubrick film – 2001: A Space Odyssey. This proves that Stanley Kubrick was a design genius and well ahead of his time. The film predicted the iPad a few years early. So, where’s Hal? Also, Captain Picard unveils the iPad.